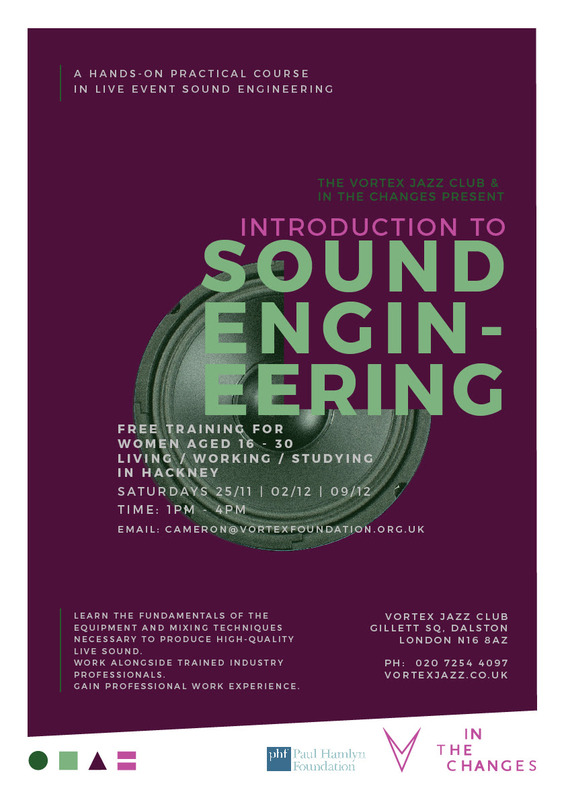 Led by the outstanding in-house head of sound at the Vortex Jazz Club, this programme will give participants a practical hands-on experience of engineering high quality live sound in a club setting. As well as covering the fundamentals of engineering, the participants will gain work experience assisting on evening concerts in the club – which is recognised world wide as a centre for excellent music. This FREE programme is available to women living / working / studying in Hackney between the age of 16 – 30. Time: 1pm – 4pm | Some evenings will be required for practical concert experience.